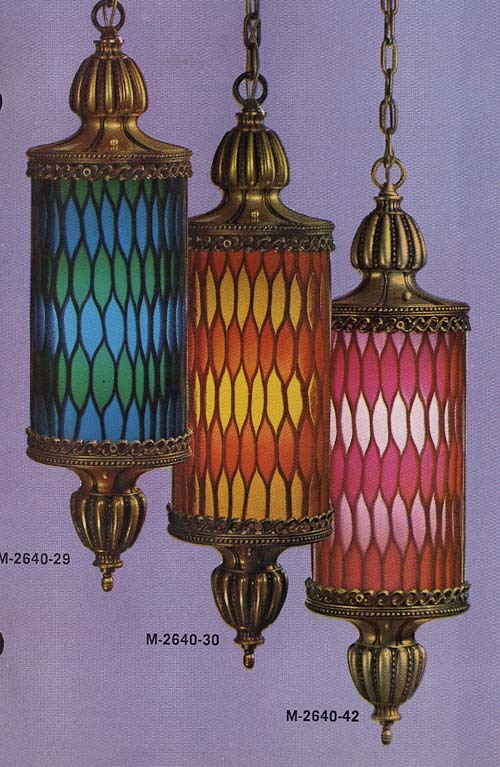 I just scored a 1968 Moe Lighting catalog, and it is 102 pages of sheer beauty. 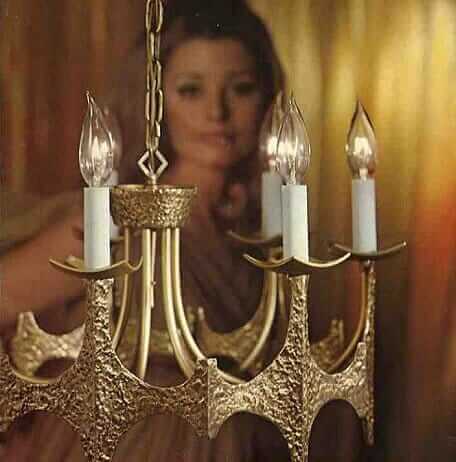 Peoples: If you are not keeping your eyes open and wallets stocked with just a little extra something for the most fabuloso vintage lighting that you can get your hands on, well, then, I feel bad. Because there is probably no feature that can have the biggest impact on the sparkly-ness of a home than lighting. I myself am guilty: The light in my dining room is a piece of inexpensive whatever that we hung in there when we first bought the house 10 years ago. I am ashamed of myself. This is going on The List tout suit. 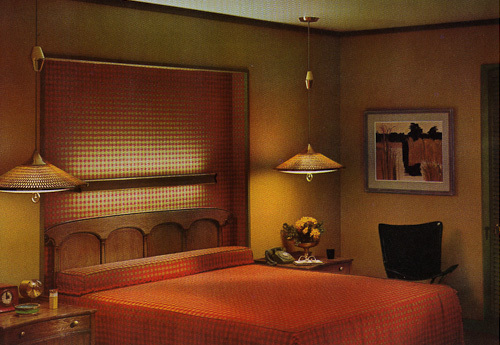 Today, from my 1968 catalog: Moe’s complete Honeycomb line, including the new-for-’68 cranberry-pink … and 5 rooms shots sure to make you smile bright as a tangerine-gold pendant. 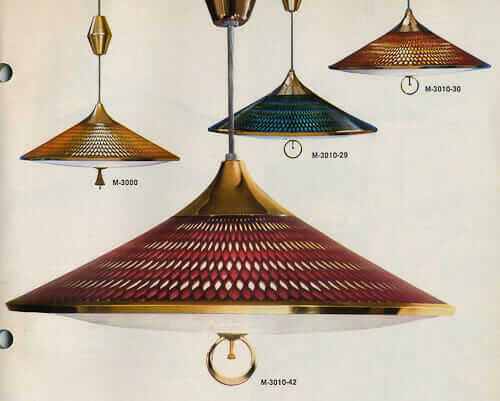 Vivid honeycomb … Moe Light’s exclusive expression of creative lighting at its finest. 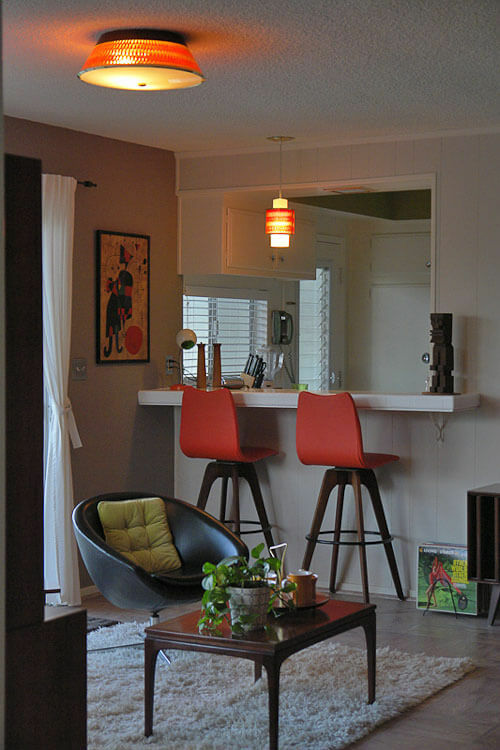 The photo above: From a fantastic time capsule house first chronicled on Vintage Las Vegas. 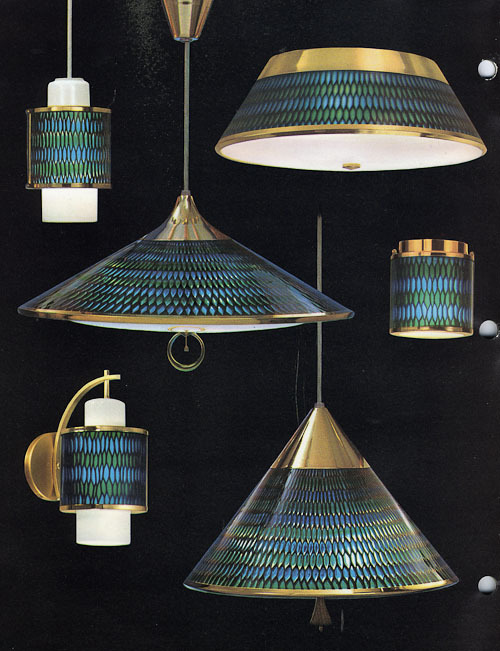 I also archived the image in my vintage lighting slide show. 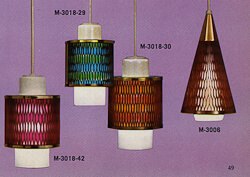 In 1968, the catalog says, the Cranberry-pink was introduced. The blue is called “Emerald-blue”. The gold: Tangerine-gold. Here’s the room shot — a hallway, it appears. It’s … interesting … to see this light paired with rustic furniture, wall paneling, and look: the door has wrought iron. I think we are seeing seeds of the Mediterranean Casa de la Torquemada look. Not a scene in which we might expect to see this thoroughly modern light — just goes to show that they mixed it up plenty back in the day. 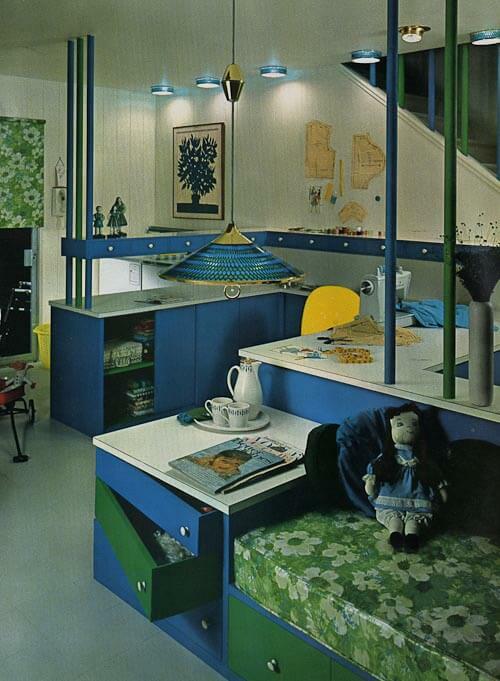 Or else, the Moe interior designers were doing magic mushrooms. 1968 and all. 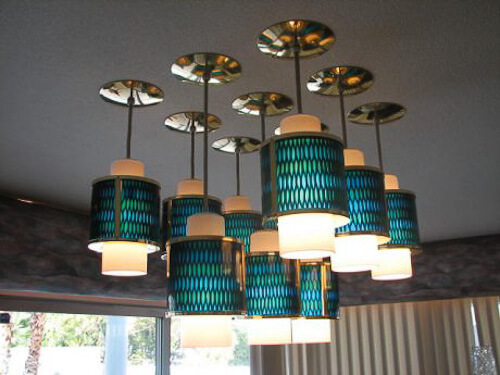 Every homemaker’s dream… the woman’s studio … smartly designed and accented with emerald-blue honeycomb lighting styles. You gotta love this. Does anyone recognize the artwork? These photos are always such a gas: Look closely, the bed is set into a nook; the nook is upholstered in the same fabric as the bedspread. There also is a light bar back there. 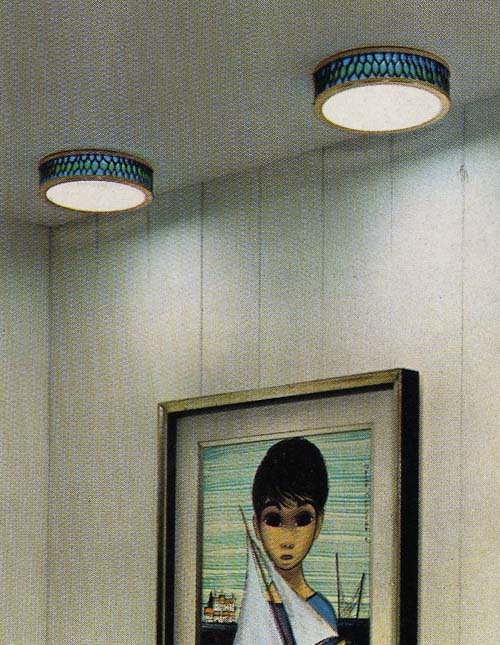 The wall sconces are particularly snappy, don’t you think? The pendants, too. And these are so NOW. 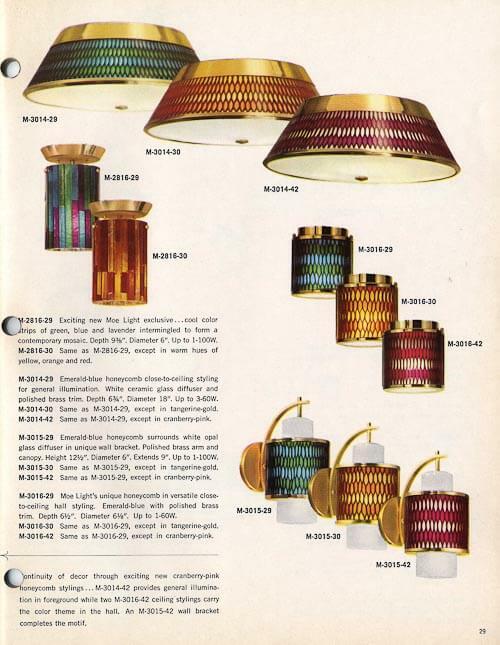 I can imagine many a lighting company introducing them today — with fanfare like they were their idea. These “celing tracks” are wicked cool. 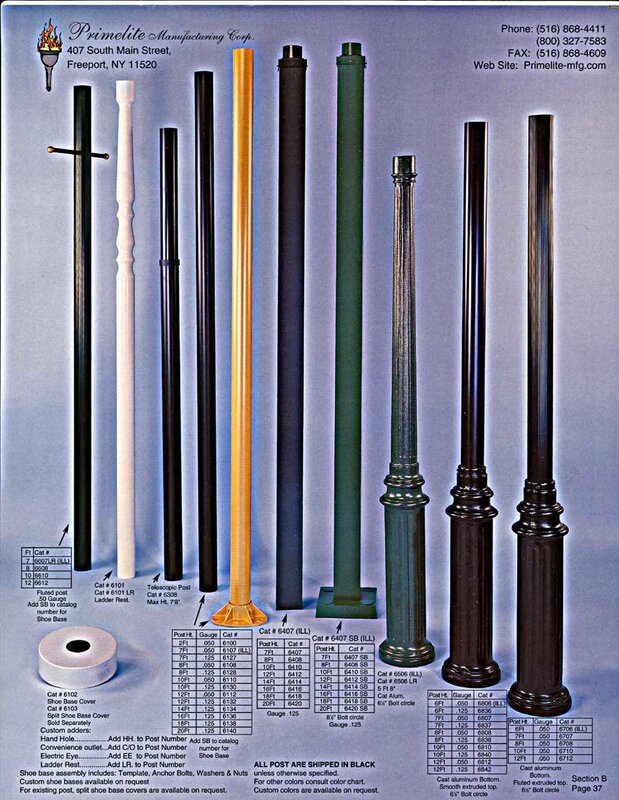 They “let you move fixtures up to six feet.” You could use them like a swag, or there was hardware included to hard wire them. 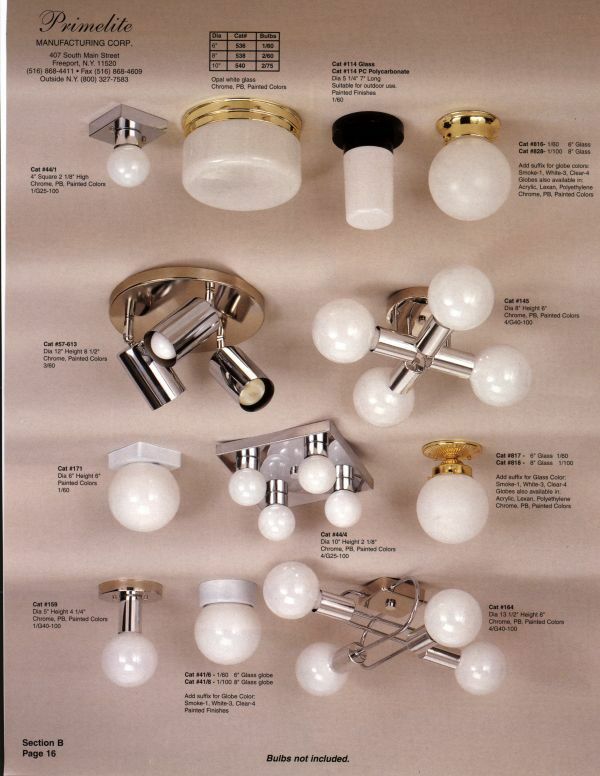 Remember: I have been told that pull down lighting is no longer to code; consult with a professional, please. 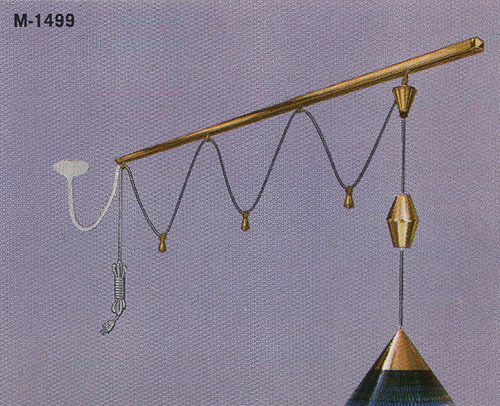 And: Vintage lighting should be rewired. Now here’s some 70s going on. These lights are insane. Luv. There are a bunch of other drop-dead gorgeous lights in my 1968 catalog. I’ll try to get them up soon. But you know me. Always distracted by the next little pretty. We have a Moe retractible light. The spring is weak and does not hold the light up. Trying to find out how to fix it. Lisa, consult with a properly licensed professional. Note: I have been told that these are no longer to code – again, get with a pro to assess what you are have and how to handle. It is some sort of plastic, I believe.